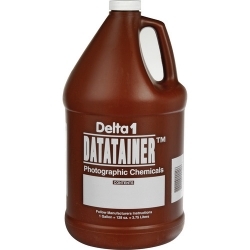 Delta Datatainers are handy, round plastic bottles are opaque brown to keep out the light. 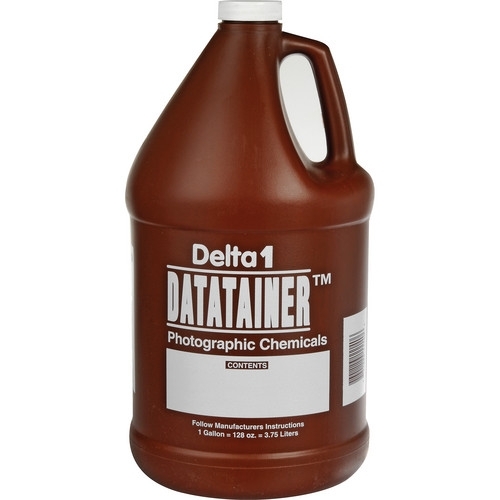 A "data form" is printed on the bottle where you can record the contents type, date mixed, dilution, time, temperature, directions for use and notes. 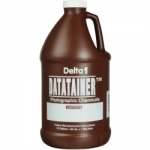 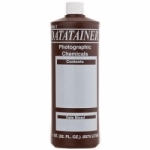 Available in three sizes, 1 quart, 1/2 gallon and 1 gallon sizes.